CBD Coffee: Jump Into Each Morning Both Pant Legs at Once! In a country where more than 80% of residents drink coffee, it’s no surprise that we seem to run on coffee and anxiety. Now thanks to CBD, it seems as though the anxiety part could be mitigated. CBD coffee may just be the best thing to calm those nerves, while still making you feel nice and buzzy. 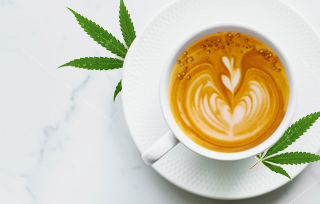 With so many cannabis infusions already on the market, it’s no wonder that CBD coffee now seems to be the next big thing. When you think about it, it only seems natural to combine caffeine with the anti-anxiety effects of CBD. Unlike THC, CBD doesn’t have any psychoactive effects, meaning that it won’t make you high. However, it does come with a string of health benefits. So, if you want to make your morning cup of coffee the best part of your day, you should definitely think about drinking your coffee with a twist going forward. Both coffee and CBD offer many health benefits individually, so it was only a matter of time before they joined together and became every cannabis enthusiasts and coffee lovers favorite morning drink. CBD is an anti-inflammatory that studies suggest could help reduce symptoms that are related to anxiety. 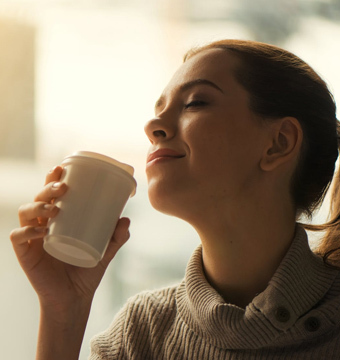 CBD coffee is a great way to begin the day for some, because it gives the rush of caffeine, but thanks to the CBD also acts as a possible stress reliever. It’s also thought that some of the negative effects associated with caffeine, like irritability and shaking, could be combated by the neuroprotective properties of CBD. It’s difficult to gage the effects that CBD will have on any particular person because there are a lot of factors involved, depending on dosage and the person. 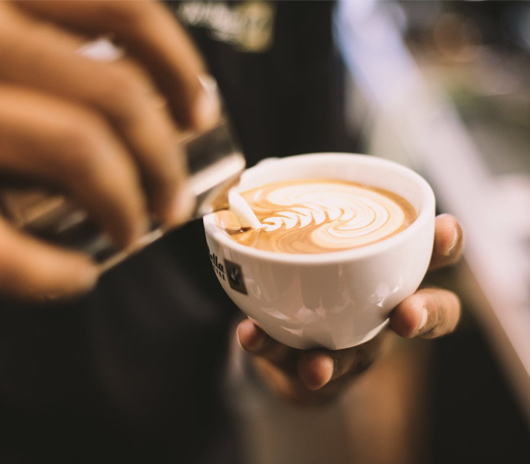 But the general idea behind CBD coffee is that it takes away the anxiety that the consumption of coffee may sometimes cause, which should make your coffee “high” a little smoother. CBD in your coffee can really help to take the edge off. To fully understand the benefits of this combination, it’s good to have an idea of how CBD coffee is made. If you looking for a quick cup of coffee right now, it’s very simple. Just add a few drops of CBD oil to your cup of coffee. But, for the coffee connoisseurs, or those who genuinely enjoy the taste of coffee, the above method isn’t going to suffice. The coffee taste will be overpowered by the bitterness of the oil. To best infuse the CBD into the coffee with as few additives as possible, the CBD needs to bind with the natural oils of the coffee beans. To make any sort of cannabis edible, the cannabinoids need some kind of carrier oil or fat for successful infusion. When it comes to CBD coffee, this process is best left up to the professionals. You might be the homemade brownie pro, but we can assure you that CBD coffee is a whole different ball game. It’s a lot more convenient and easier to buy a batch of coffee that is already infused if available. The good news is that because we are talking about CBD, there should be greater access to the product because of its largely legal status. While CBD coffee won’t get you high, it could induce some other noticeable effects. In the realm of physiological conditions, CBD has a powerful but subtle approach to reducing pain, nausea, and inflammation, among other things. A lot of people aren’t up for starting their day with a shot of cannabis oil, and it’s easy to understand why. They associate the substance with the marijuana plant and believe that consuming CBD will make them groggy and slow. But, this couldn’t be any further from the truth. A small dose of CBD oil in your coffee could, in fact, improve your mood and boost your energy levels. CBD can help to get you ready for the day, give you a sensation of mental clarity, and help to organise your thoughts. It just feels right to start your morning off with energy and a positive outlook. Have you ever come across the word “superfood?” It has become such an obsession over the last few years, so it may be difficult to differentiate between ingredients that really have an impact on your health, and which are just a marketing ploy. But, CBD is one that should be at the top of the list of powerful antioxidants. In fact, both coffee and CBD are rich sources of antioxidants. Antioxidants are known for helping to reduce inflammation, swelling, and even aging. Antioxidants are what helps the body to fight damage that is caused by free radicals, and have even been known to lower risks of developing some types of cancer. Coffee wakes you up and delights the senses. But the resulting energy boost may quickly turn into an unpleasant experience if the jitters kick in after a few hours. We’re referring to the sweating, agitation, and digestive problems. CBD has been proven to be very effective in the treatment of psychological disorders, such as anxiety and depression. CBD coffee works together with the neurotransmitters to fight the panic signals, alleviate the anxiety, and instead release happy hormones. The wonderful thing about the combination of coffee and CBD is that they can help to boost the function of the brain without overwhelming each other. CBD fights anxiety symptoms while coffee acts as an excitant. It’s a great combination and a great way to kickstart any morning. Are There Any Negative Side Effects of Adding CBD to Coffee? So, all these positive effects sound great to those who need to use CBD as medicine. But what about for those of us who just love the recreational effects of CBD and a good cup of coffee. Even though you may not be clinically depressed or suffer from a diagnosed anxiety disorder, we all have times when we may feel anxious about certain life events and CBD could help with that. But is it safe to use daily even if we don’t need it? The answer is a resounding YES! CBD coffee is absolutely safe to drink every day. There isn’t one CBD coffee drinker who has yet claimed to have any adverse effects that are a result of the beverage. On the contrary, most say that the CBD helps to calm many of the negative side effects that are associated with caffeine, like tremors and anxiety. Keeping that in mind, the most important thing is not to overdo it with the caffeine. This could cause the adverse side effects of large doses to outweigh the benefits of CBD. 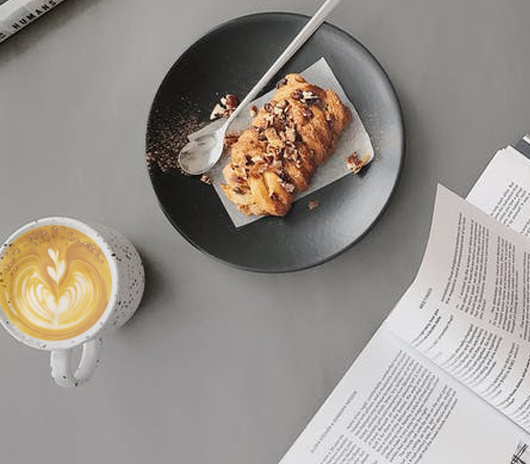 If you love drinking your morning coffee and want to make your morning ritual extra beneficial and enjoyable, then CBD coffee could be just what you need. Give it a try and experience all the wonders that it does for both the body and mind — just don’t expect it to cure you of all your ailments or give you some cannabis-driven superhuman powers. Personally, we really like CBD coffee because it seems to ease the nerves and caffeine-induced jitters a bit, while still allowing yourself to benefit from the wake-inducing agents of our favorite morning beverage. If you’re like most folks on earth and can’t function without your morning cup of joe, but also don’t like the nervy jitters that you get from consuming it, definitely give CBD coffee a try. Kason from Ashburn just bough! Jennifer from Ashburn just bough! Emelia from Ashburn just bough!